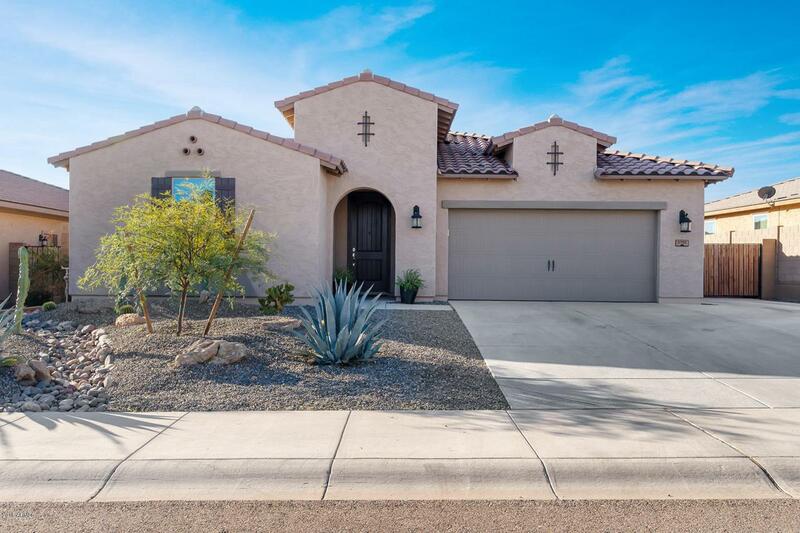 Like new 4-year-old 3 Bedroom, Den, 3 Bath in Arroyo Norte! 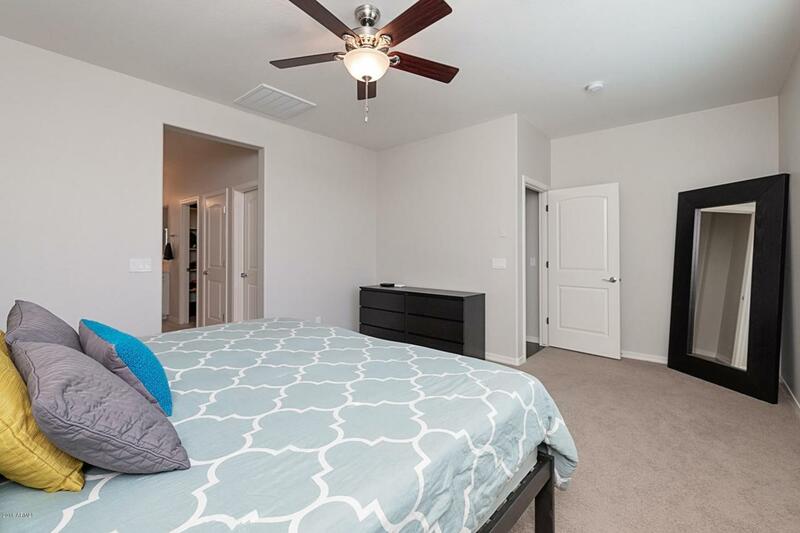 Every bedroom has private bath in this split floor plan. Freshly painted with contemporary colors. Beautiful hardwood floors in main living area & carpet in bedrooms. 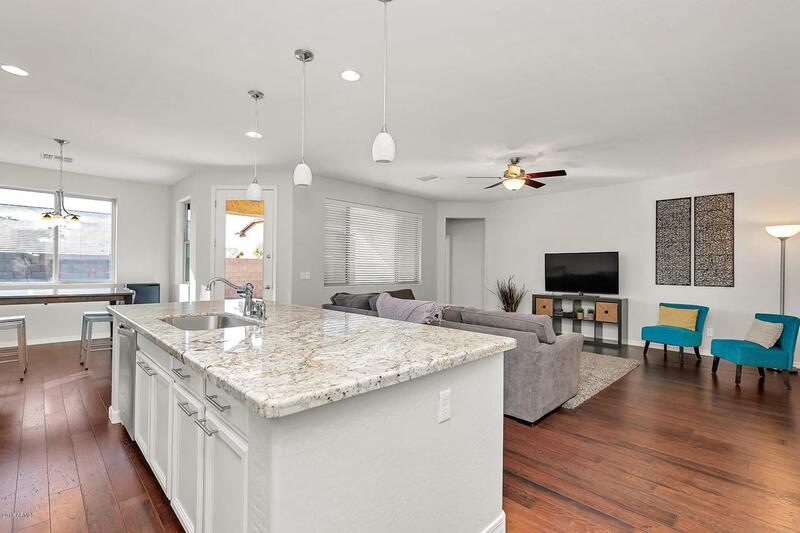 Kitchen features granite counters, white upgraded cabinetry, electric range, stainless appliances including refrigerator, pantry & pendant lighting over island w/ breakfast bar. 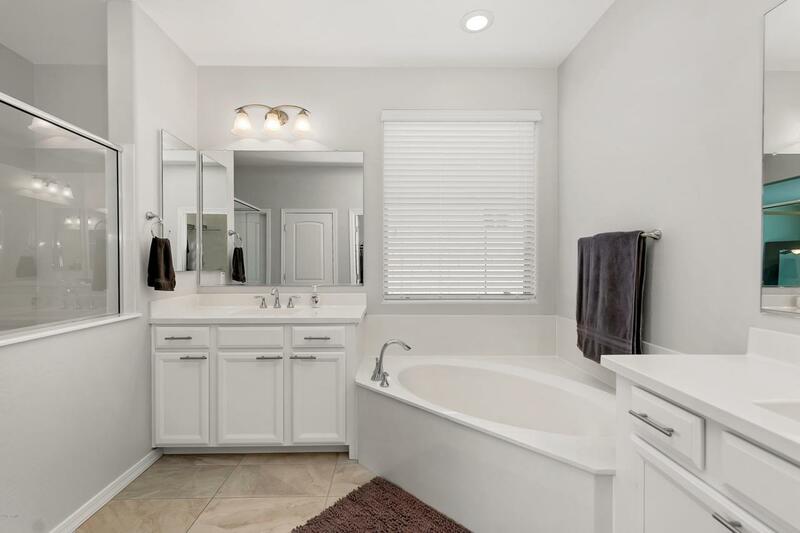 Master bath includes separate shower & tub, dual sinks & walk-in closet. Driveway extended for additional parking with over-sized RV gate. Meticulously maintained, move-in ready, clean home. Backyard has covered patio, extended paver patio & desert landscaping. Plenty of room for pool, trampoline or play area. Pocket park just down the street. Energy Efficient Home with 63 HERS rating.